Hosting during the Holidays? 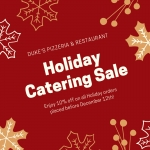 Duke's Pizzeria & Restaurant is happy to provide custom catering menus for all occassions. 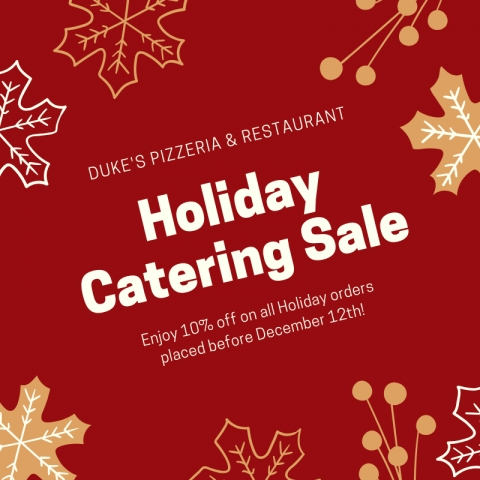 Please contact Amy or Jeff at (908) 730-8515 to discuss menu options in more detail. All Holiday orders placed before December 12th will receive a 10% discount.